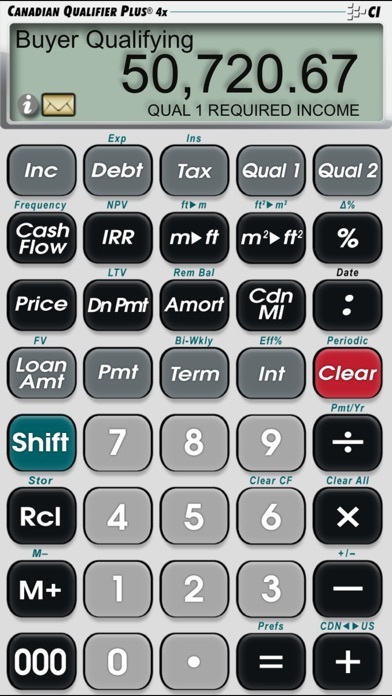 Advanced Canadian Residential and Commercial Mortgage Finance Calculator All the Power and Versatility of the Qualifier Plus 4x-Canadian – on your iPhone And while perhaps obvious, if you change from an iOS device to a non-iOS device, you WILL need to buy a new license as they are incompatible. •All the functionality of the Canadian Qualifier Plus 4x •Easily Toggle between U.S. and Canadian Interest •Email loan worksheets to your clients from your iPhone •No learning curve -- just one powerful, easy-to-use app •Full User's Guide built in as well as ability to press and hold a key for specific help Quickly and accurately solve residential real estate and mortgage questions. Unique loan qualifying feature helps you gain your client’s confidence and provides a professional approach to the “what-if” of any loan or investment scenario. 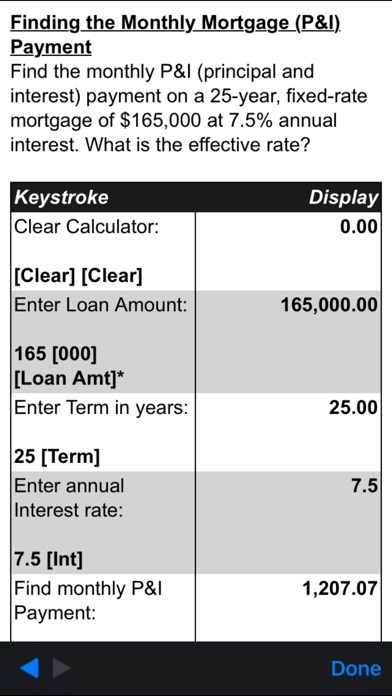 You can even calculate amortization and loan data and e-mail it directly from the app screen on your phone. 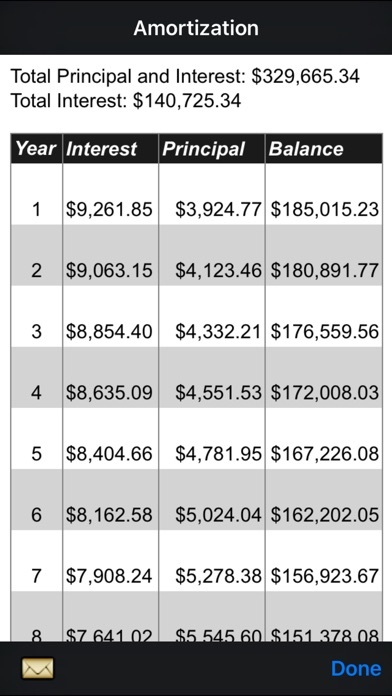 In addition to both common and advanced real estate finance problems and complete buyer qualifying, it calculates net present value, cash flows and internal rate of return (IRR). 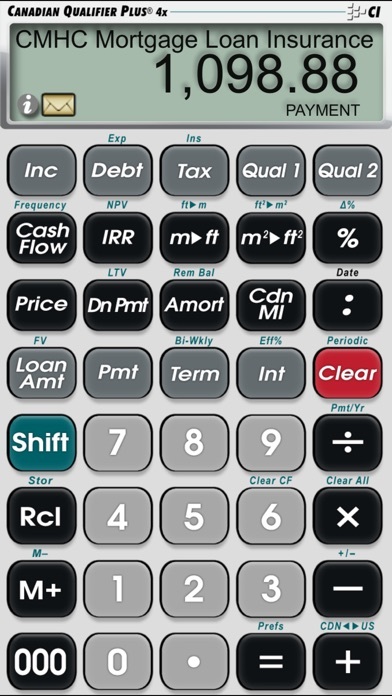 Even use this app for commercial investment calculations, metric-imperial conversions and calculating Canadian mortgage insurance. Ideal for all real estate finance professionals including agents, brokers, investors, mortgage lenders, title offices and trainers. Details: Built-in Solutions •Toggle between U.S. and Canadian Interest •Easy Qualification; Versatile Two-Loan Buyer Qualifying. (i.e. GDSR or TDSR); Actual Ratios •Complete Residential Real Estate Finance Solutions; Payments, Terms, Interest Rates, Total Finance Charges, Balloon Payments, Remaining Balances, Appreciation and Depreciation, Bi-Weekly loans, Future Values; Complete Amortization •Solve Total Interest, Principal, Remaining Balance and Total Finance Charges •Built-in Price and Down Payment Keys •Dedicated Tax and Insurance Keys; Property Insurance, Property Tax, Mortgage Insurance (i.e. 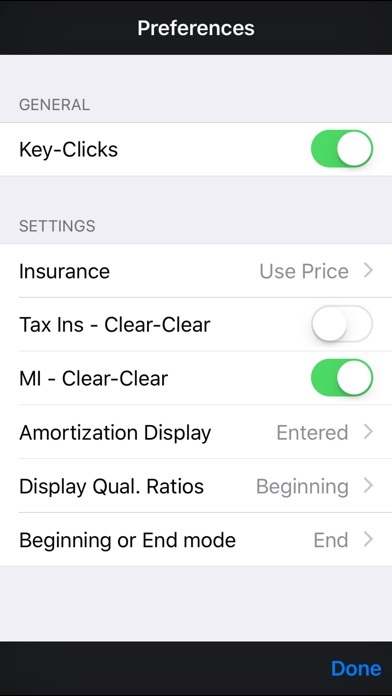 PMI, MIP) •Can be used to enter Heat for "PITH" payments •Bi-weekly Solutions •Built-in Date Math; Closing and Expiration Dates •Triple Zero Key Saves Time and Keystrokes Special Functions •Amortization screen lets you see all amortization or loan data at once and e-mail it directly from the app screen on your phone •E-mail loan worksheets to your clients from your iPhone •Built-in help – just press and hold the desired key for full, clear definitions, explanations and examples of keystrokes •Triple Zero Key saves time and keystrokes •Entry Editing Backspace – with a swipe of a finger TRADEMARKS: Qualifer Plus® is a registered trademark of Calculated Industries, Inc.